Bayer Leverkusen coach Peter Bosz has suggested that his former play Christian Pulisic is ready for success at Chelsea. Bosz is familiar with the American, having worked with him previously at Borussia Dortmund. Earlier this month, a deal was reached between Chelsea and Dortmund for the sale of Pulisic. The player is now contracted to Chelsea but will remain with the Bundesliga club on loan until the end of the season. The views from the public over the Blues’ decision to lure Pulisic has been largely mixed. He is viewed by some as a possible future superstar in football and so could become a key player for the club. Despite being just 20 years old, Pulisic has played 81 league games for Dortmund, scoring ten goals. As the current face of American soccer, Pulisic is also a great marketing tool and will help the club to make inroads in the US market. However, he has struggled for game time and consistency this season. He has played just 12 Bundesliga games this season, scoring a solitary goal. The arrival of English sensation Jadon Sancho at Dortmund has led to Pulisic falling down the pecking order at the club. While the player is an interesting investment, it remains to be seen whether he has the ability to succeed in England. 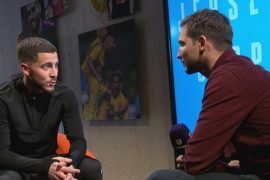 As quoted by Goal, Bosz said: “I understand his move to Chelsea, the Premier League is different from the Bundesliga in the sense that you have to be physically stronger, but fortunately he is. “Chelsea is not an easy club, because there are a lot of good players, but I think he has the qualities to succeed.